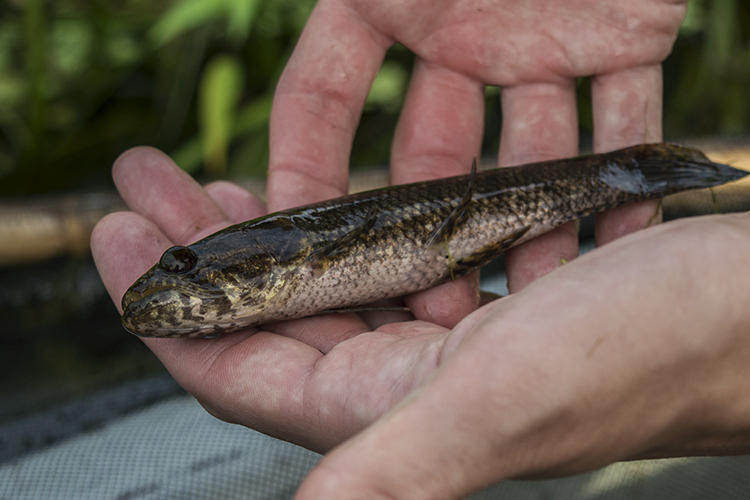 Earlier this year, as I spent time in Ecuador working with an aquarium fish exporter focused primarily on marine fish, I did get the chance to do a bit of exploring in a number of the country’s diverse freshwater habitats. Of these trips, none was more memorable than the time I spent in Ecuador’s Yasuni National Park on the upper Napo River, one of the main headwaters of the Amazon. This trip was prompted by an invitation to visit Napo Wildlife Center, one of the premiere ecolodges in the country and a popular destination for tourists looking to see Ecuador’s Amazon. 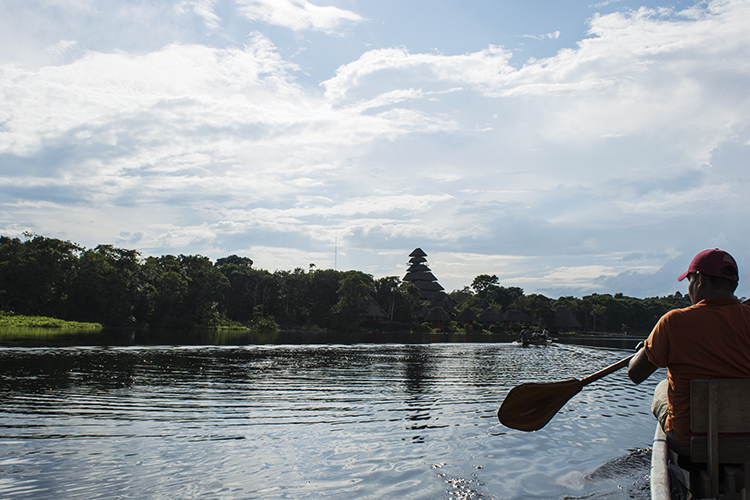 The lodge is 100% owned and operated by the local indigenous community (Añangu), but despite their reliance on ecotourism and wildlife watchers, the aquatic life of the area is relatively unknown. The goal of my visit was to conduct a preliminary survey of the fish fauna in and around Napo Wildlife Center as part of their ongoing efforts to document the plant and animal species in the area. 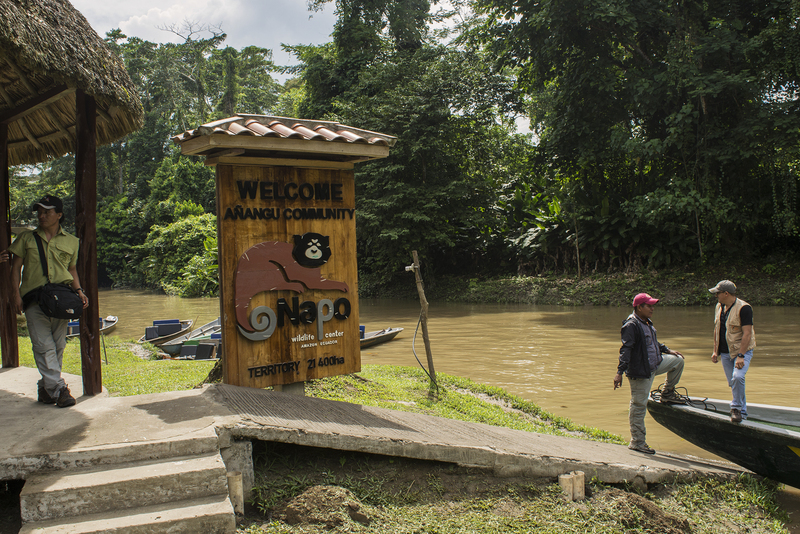 Napo Wildlife Center is located in a fairly remote part of Yasuni National Park, and getting there required a short flight from Quito to the quiet jungle city of Coca at the junction of three rivers—the Napo, Coca, and Payamino. From there, a 2-hour motorboat ride up the Napo brought me to the entrance to the ecolodge, where more boat travel awaited. The Napo River is a major headwater of the Amazon, flowing down from the Andes near Quito and into Ecuador’s corner of the Amazon Basin. 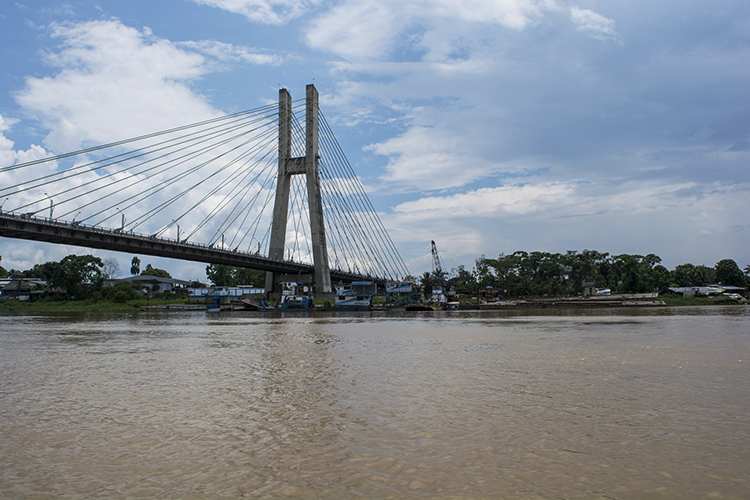 It is a classic “white water” river, its murky and fast-moving waters loaded with sediment and debris, which it will deposit at the river’s meeting point with the Amazon proper just North of Iquitos, Peru. 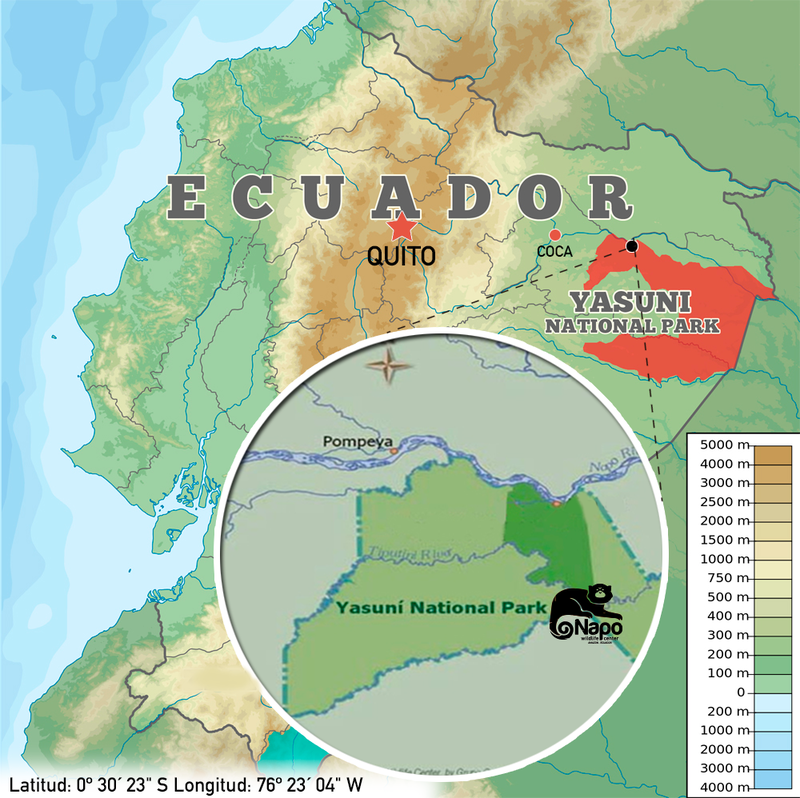 Yasuni National Park is considered one of the most biodiverse places on earth, but unfortunately lies atop rich oil and natural gas deposits. Recently, despite international outcry, the Ecuadorian government moved to allow petroleum exploration and drilling within the park itself—which does not bode well for the protected habitat and fauna of Yasuni. 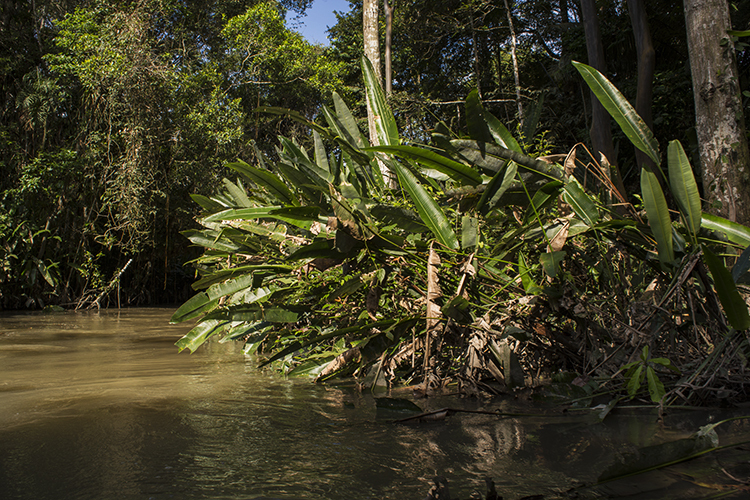 The entrance to the lodge lies along a small tributary of the Napo, which leads to a quiet blackwater lake. We took a canoe for the nearly hour-long journey up this creek, and the slow pace and quiet approach of the hand-paddled craft allowed for incredible wildlife watching. 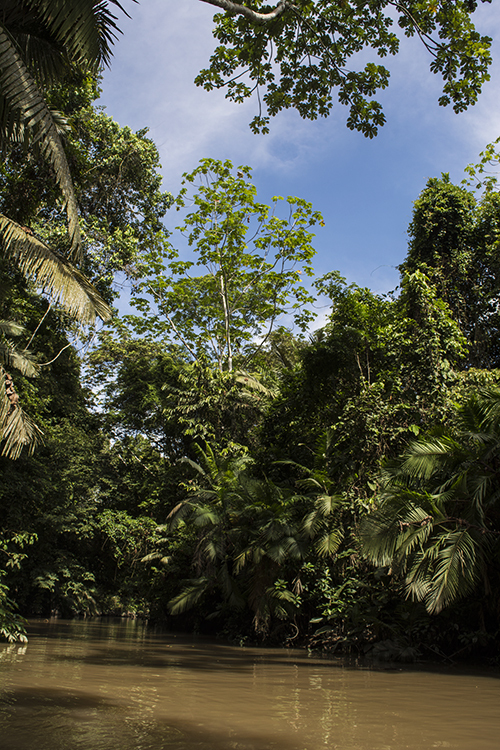 Monkeys, sloths, and various tropical birds darted around the canopy, but even in the tannin-stained waters of the creek a number of fish were visible. Electric eels (Electrophorus electricus) frequent the creek and are often seen rising to the surface to gulp air. Wolffish (Hoplias malabaricus) are also commonly seen darting around the shallows, but recent rainstorms had caused the normally dark-but-clear waters of the creek to be clouded with silt, making it difficult to spot fish. 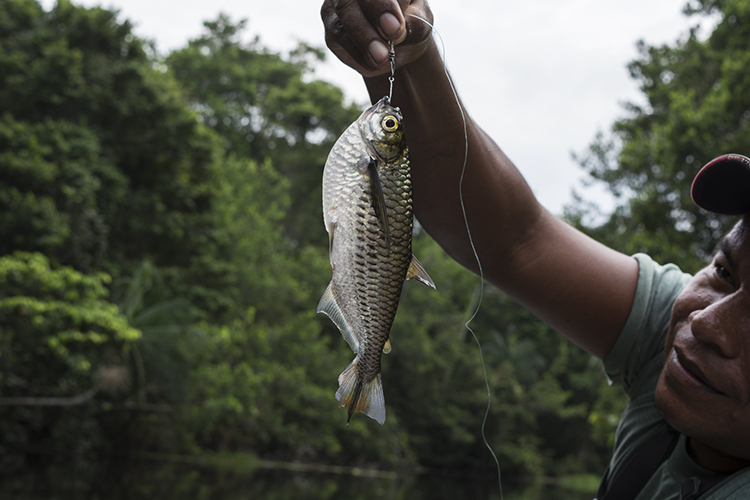 We took a short break to throw line in the water and were rewarded with generous bites from Red Bellied Piranha (Pygocentrus nattereri) and the top-dwelling Triportheus rotundatus. After the long but incredibly serene journey up the quiet creek, the lake appeared ahead like a light at the end of a tree-lined tunnel, with the thatched roofs of the lodge complex visible on the far side. The small lake, which shares its name with the local community (Añangu), is densely populated with fish (due to the protected status of the waters in the park). 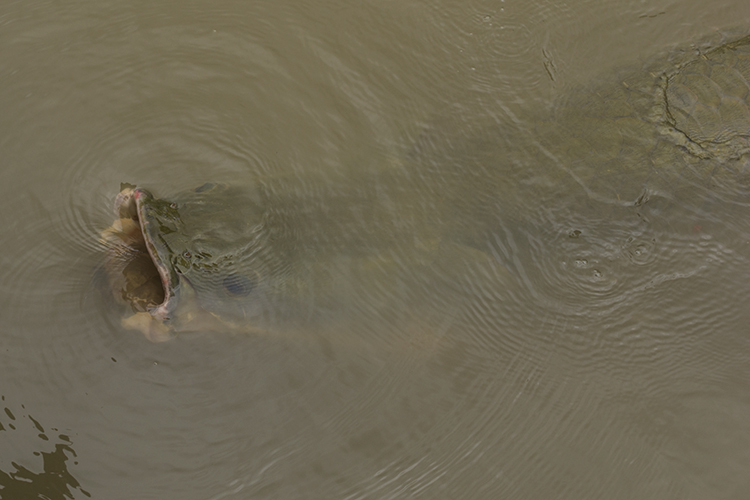 Gigantic Arapaima—or Paiche, as they are known locally—are abundant in the lake and are often seen breaking the surface to breathe. During my visit, most of the adults were breeding in the shallow creeks and waterways surrounding the lakes, and the species exhibits strong parental care of their young. We saw just how fierce this parenting instinct was firsthand when a large adult repeatedly rammed and bit the canoe paddle just before we entered the lake itself. 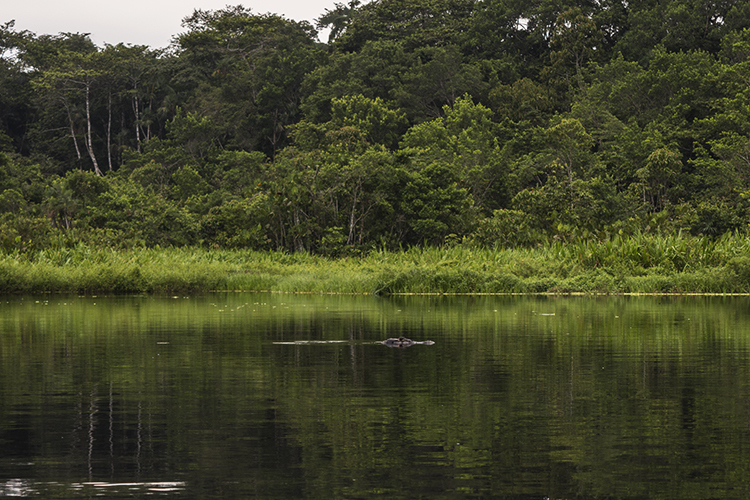 Once on the lake, several impressive specimens of Black Caiman (Melanosuchus niger) made themselves known, keeping a wary eye on the new arrivals to their territory. Once we arrived at the ecolodge, it was time to unload our gear and begin planning in earnest the rest of the weekend’s collecting efforts. The lodge itself is an impressive complex of cabins and suites clustered around a staggeringly tall (and beautifully designed) central tower, which houses both the elegant dining area on the lower floor and several observation decks at or above canopy level. Napo Wildlife Center caters largely to fairly well-off ecotourists, and the amenities and rooms certainly reflected this. It was a welcome change of pace for me after months of backpacking and less-than-luxurious accommodations. In fact, it was nothing short of decadent, despite being something of a “working” visit. After consulting with our guide and some local staff, we decided to target one of the nearby small streams for our first collecting, and then spend the night out on the lake and main creek to see what we could encounter—which will be covered in detail in the next installment. Stay tuned! Please sign my friend up to your email site, he has been in that country in the 60’s. I’ve kept Triportheus twice before (the only two times I have seen them for sale I snatched them up both times) and they are amazing fish. I wish they were more common in the hobby. I've kept Triportheus twice before (the only two times I have seen them for sale I snatched them up both times) and they are amazing fish. I wish they were more common in the hobby.